Most people finds it so hard to shape out a perfect schedule of their daily activities thereby neglecting their home at the expense of their work/profession . parent that are too busy doing their work will certainly care less about their children and this can eventually mar the home and if proper checks are not put in place, the home will eventually crash. 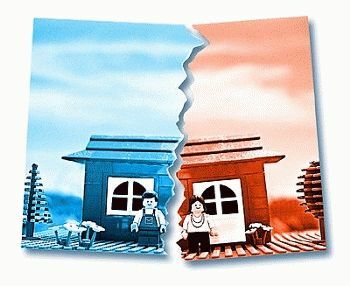 By my research which i carried out between Friday 25th of august and Sunday 27th of august 2017, i discover than about 35 % of many homes has secretive partner. secretive partners are those that their way of life and behavior are secretive. they can decide to smile even when they ought to react to something you both know that hurt them. they find it hard to share their feelings with their spouse and some may even over monitoring the affairs of their partners without the other party knowing . this will bring about the lack of trust and confidence in such home. without overlooking things , learning to be conversational and ability to forgive, the homes will not stand the test of time. Most partners have misunderstood the word ‘HELP MATE’ for another thing. most partner sees their spouse as slaves putting all the house core on them especially the husbands. There is no crime for husband to cook a meal for the family on a good day but over conscious of been called a fool is affecting the mentality of most husbands. if such continues, it can affect the other party thereby bringing about home disorder. It is true that action brings about reaction meaning that if there is no action that affects the other party, there wont be any reaction. but come what may, I want to remind us of the English proverb that says two wrong can never make a right. if you over react because of what your spouse did to you, you discover that your reaction will not help your home but do more harms to it. the best bet is when a partner is angry , the other person should try as much as possible to be quiet. If there is anything called home, disagreement is inevitable. home comprises of two different partners who were brought up by different parent. this means there is no way they wont experience disagreement. so if this happens, it is ideal to settle it within themselves and try as much as possible not to let the third-party intervene. A home that prays together stays together. if there has never been regular prayer in a family, the family is bound to go on a breakup. partners that prays together will have to agree on their prayer thereby expecting the same result. Our home will stand the test of time if and only if we can work on the points mentioned above.